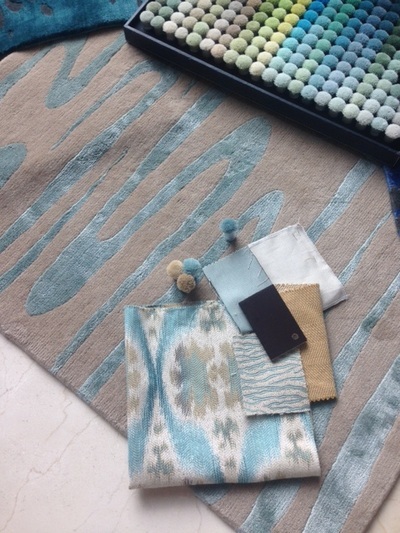 How does an interior designer know where to start and where does the designer's "knowing", begin? 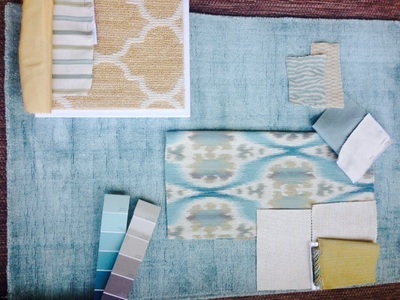 Whether I am working with a client's wishlist or on a model home, my vision usually begins with a swatch of the fabric that will become pillows or window treatments. 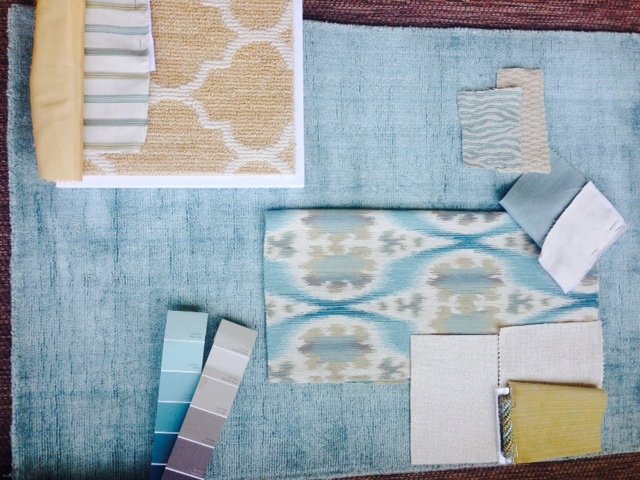 I then build around that fabric, from paint colors to art/accessories and everything in between. This "process" is a comfortable pattern I fell into quite naturally through the years. What drives that creative choice? Consideration of the environment, an in-depth knowledge of the market, taking inspiration from art, music, nature and the work of other great designers—all factors which challenge and enhance my gut instincts. Finding the harmony in many different perspectives and influences is key to taking an intangible concept and developing it into a fully resolved and finished product. I like to think that a "sense of knowing where to begin" is in my blood and that I was destined to be an Interior Designer from the beginning. As a "military brat" my family moved every couple of years. Needless to say, this amounted to quite a few homes and MANY rooms to decorate. Luckily for me, one of my favorite pastimes was to rearrange the furniture and suggest color changes, etc. I would like to assume that my Mother, a woman of respected taste, allowed this because I was somewhat skilled. I don't recall ever ASKING—I would just get a whim and voila—a new room was born! DESPITE what seemed inevitable, it would be quite some time before I realized it was my passion. Years later, while working as a receptionist in a high-end residential design firm, I rediscovered my love of design and decided to go back to college. While applying to the Interior Design program, I noticed that the "intended course of study" stated on my high school SAT's was, ironically, INTERIOR DECORATING, although that was NOT something I chose to study while at UNC. 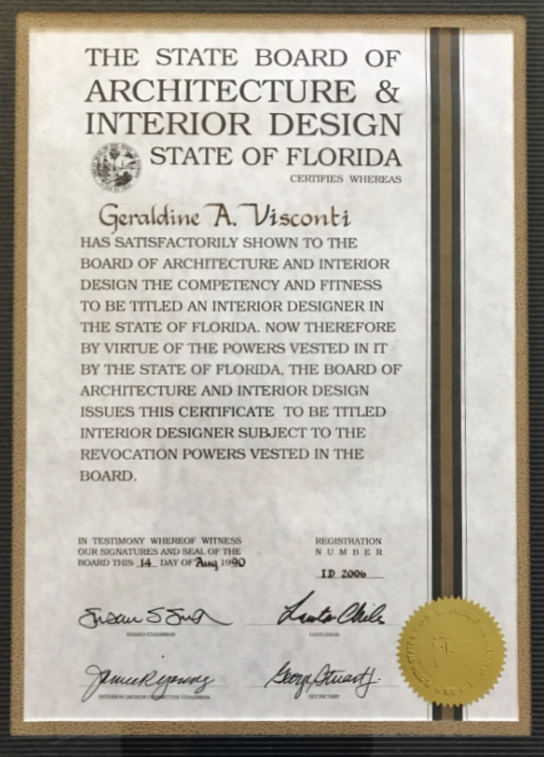 Though it took four long years of night school while working two jobs to pay the bills, I graduated in 1990 with a degree in Interior Design. As luck would have it, my "day job" during those years was at a second high-end and well-respected design firm. I was able to cut my teeth with a mainline to the best architects, builders and vendors that Palm Beach County had to offer. My talented and impassioned colleagues fueled my desire to one day rank among them. I worked my way from receptionist to librarian/design assistant and then from purchasing agent to CS Rep, all the while gaining a vast education into the resources of this field and how to properly implement them into award winning interiors. http://www.watg.com/. 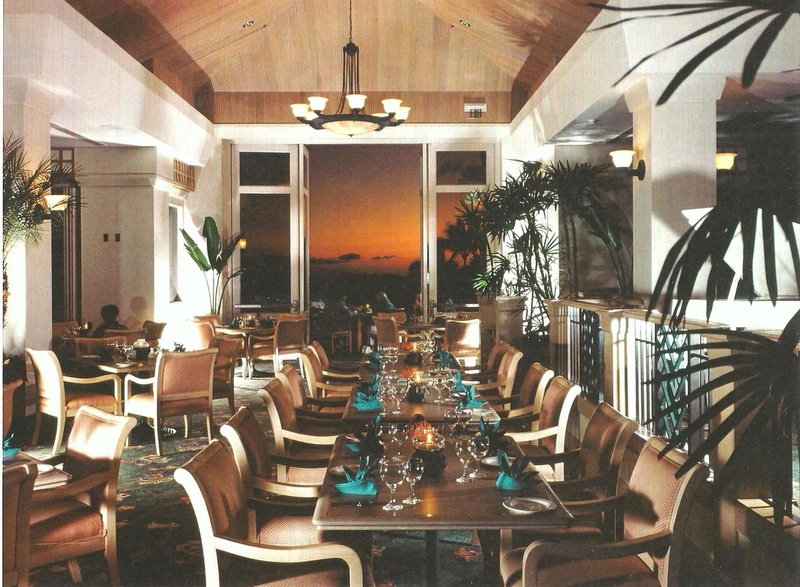 The result of our collaboration is pictured below - Wailea Orange and Gold Courses’ Clubhouse, which was installed in 1994. During that time, I was fortunate enough to travel the US, and to the Bahamas and even Bermuda, working on interiors for golf course clubs and pro shops. 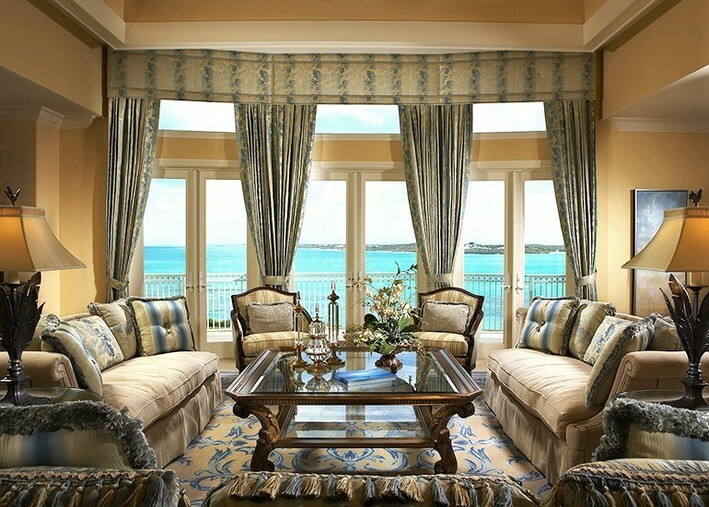 ​well as individual villa homeowners who wish to upgrade their properties. It has been a fascinating experience to see the many different "interpretations" of "island style" from clients all over the US and abroad. I think it's safe to say that much of their interpretations come from their beginnings. Our hope is that this blog will become a source of sharing and information—influences and trends we like, helpful tips, and glimpses into current projects. We at VDG are committed to work alongside our clients to create designs for them that are built on a solid foundation utilizing our knowledge, inspiration and passion. Every project is an exciting new beginning and we look forward to taking that journey with you. I hope that you willcontinue to follow us as we embark on this journey! ​Here's to a GREAT BEGINNING!! !